If your business hasn't entered into the social media stratosphere yet, right now is a good time to start. Going social with your business is a vital component in achieving your goals. Most of your clients are likely active on multiple social media channels. If your business already has social media presence, work toward strengthening your presence to compete with other businesses. Facebook is a great place to start to get your business involved in social media. With over one billion active users, Facebook is a website with a large audience. When clients "like" and share your posts, you will learn more about type of content your target audience is interested in seeing on your page. Facebook is a straight-forward way for your clients to send messages or make posts to your business timeline with questions or other feedback. Creating and maintaining a Facebook page is one way to help your clients to feel more connected to your business on a day-to-day basis. With over 600 million registered users, Twitter is an effective way to share messages with your clients. Your tweets might include everything from announcements, special deals, event promos, or other general information. Twitter is a useful way to engage with your clients and find out more about what their interests are in a timely manner. Clients can @ message, reply, retweet, and favorite your tweets. Using Twitter's built in search tool, you can keep up-to-date with references to your business as well as mentions of your competition. 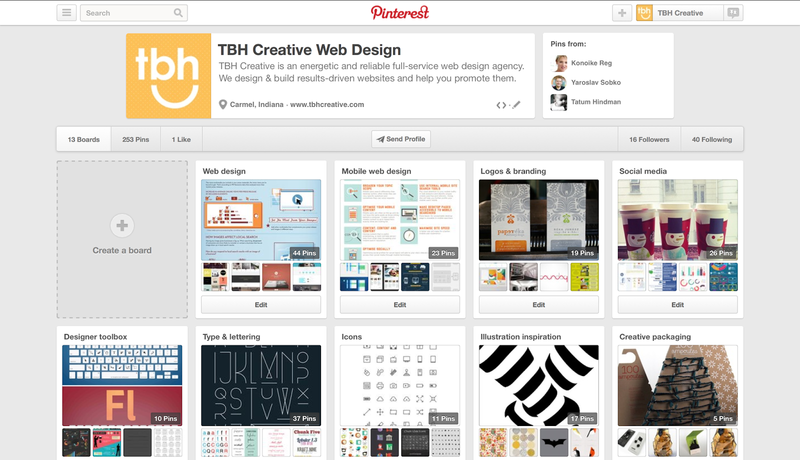 When using Pinterest, keep your users in mind and create multiple boards related to the subject of your business. 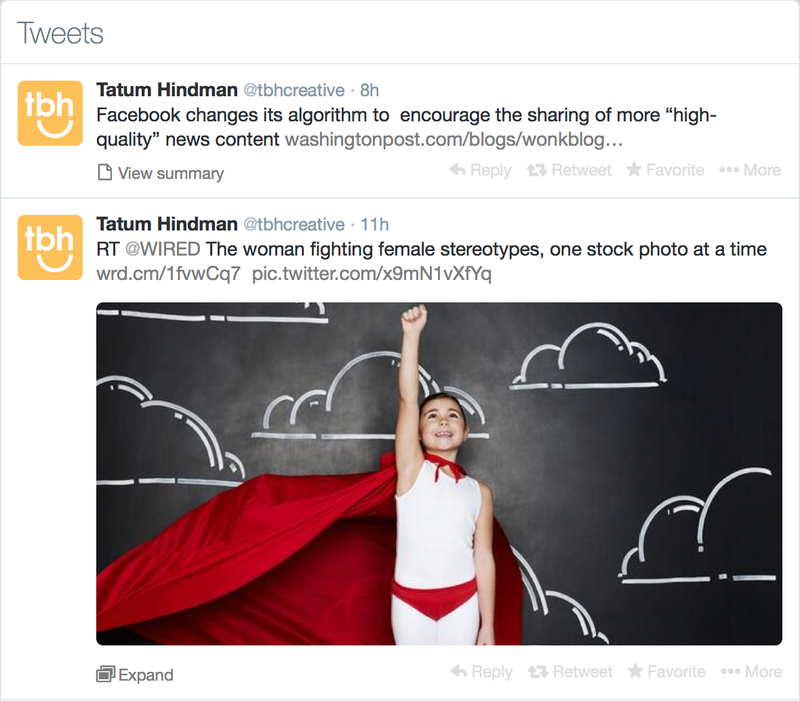 Show authority by curating content on relevant topics where you're considered an expert. Your business can create your own pins or re-pin from others that have similar content. Make sure that if you aren't creating your own pins, that you re-pin from sources that have accurate information. Your pins should be relevant, interesting, and promote your brand. Instagram has over 150 million users. Your business can show off its personality by posting relevant pictures to the platform. For example, if your business has products, posting images of the products may not only get the attention of existing fans but also encourage new people to follow your company and potentially make future purchases, too. TBH Creative can help your business develop a custom social media marketing plan to help you meet business goals. Learn more about TBH Creative's strategic approach to web planning.